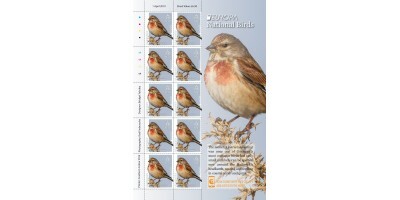 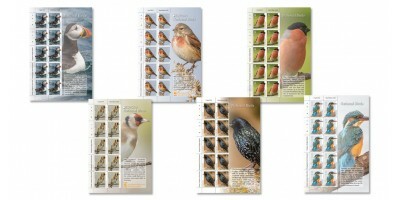 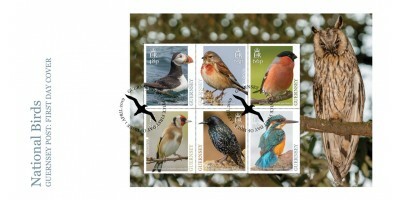 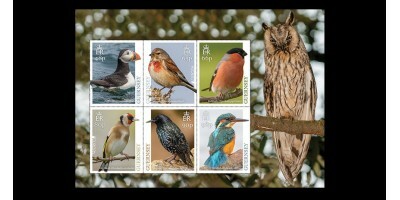 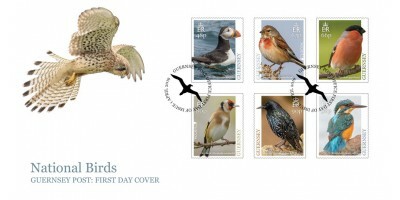 48p stamp - Puffin65p stamp - Linnet66p stamp - Bullfinch80p stamp - Goldfinch90p stamp - Starling98p stamp - KingfisherOur sets are supplied in a robust glassine bag. 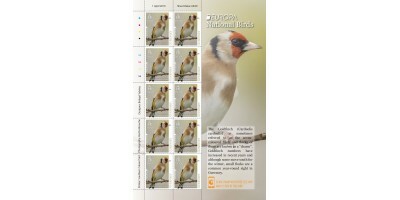 You may decide to place the stam..
EUROPA sheets are produced in sheets of ten. 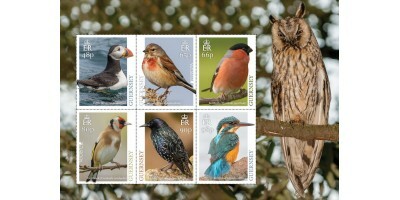 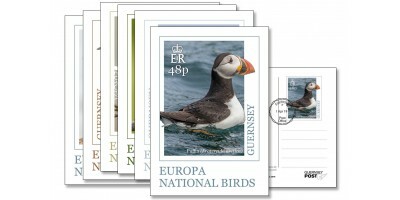 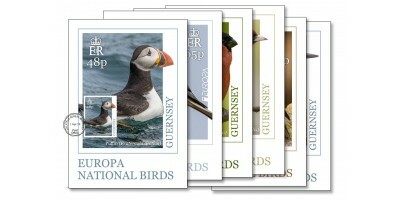 This enables collectors to obtain cost-effective sheets of each value with the name of the designer, printer and printer's information and 'traffic lights'..
Guernsey Post has produced this special EUROPA issue featuring some stunning photographs taken by local birdwatcher Rod Ferbrache. 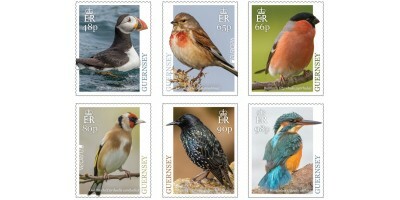 The Bailiwick of Guernsey, namely Sark, Herm, Jethou and Burhou, is where the most southerly breeding colonies can be found. 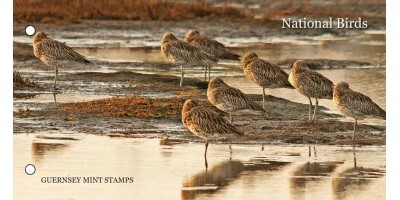 By August they leave the islands to spend the rest of the year in the middle of the ocean. 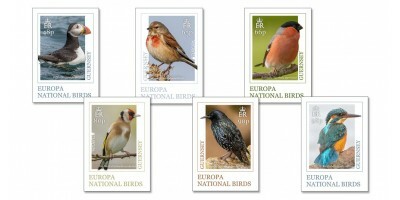 PostEurop Birdproject 2019; 24 Members have already joined the Birdproject 2019 and all the stamps in the Birdproject can be scanned with a smartphone- once scanned the song bird can be heard. 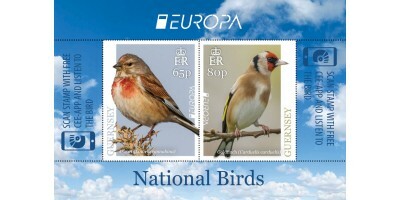 Download the free Cee-App and scan our Europa Linnet, 65p and Goldfinch, 80p stamps to hear their song.